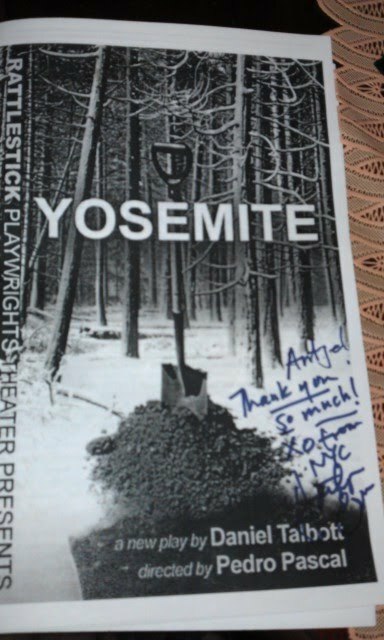 On previous occasions I had delivered a drawing and a heart handmade by my brother Alberto to Kathryn Erbe and a jumbo box of Skittles for the cast and crew of "Yosemite" directly to the Rattlestick Playwrights Theater. 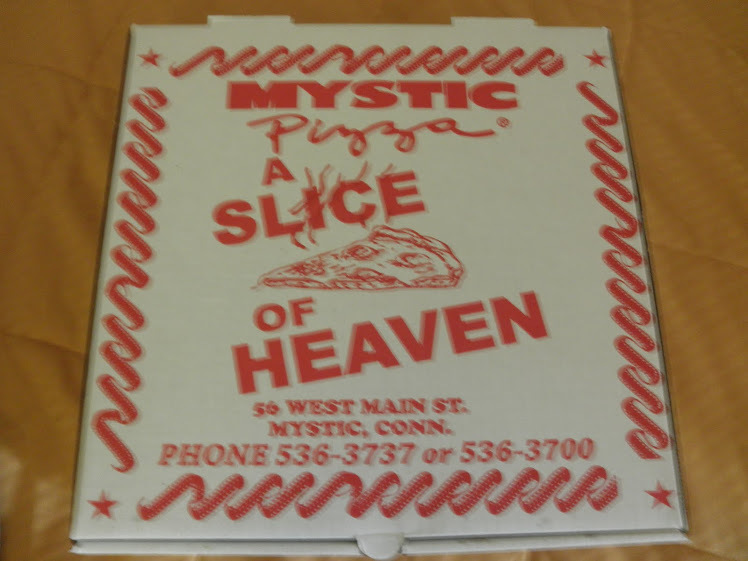 This time, I was entrusted with a special task from my friend and fellow blogger, Antje aka havers_barbera, author of the Lovely Kathryn blog dedicated to our very own Kathryn Erbe, New Englander turned Brooklynite. A month ago Antje sent me an e-mail asking if I would deliver a letter from her to Kathryn after the Sunday matinee of "Yosemite" on February 26, which was originally the closing date for the play. Of course, I told her, I would be happy to do this. Last week the letter finally arrived from Germany with some special artwork created by Antje for Kathryn. I was looking forward to meeting Kate again and giving her Antje's gift. In the meantime, I had found out that "Yosemite" had been extended for another week (4 additional performances) until March 3. Way to go, Rattlestick! 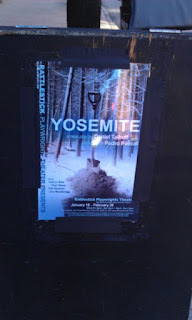 During last Sunday's final matinee performance of "Yosemite," I noticed that all the actors had injected more energy into their movements and lines onstage, and the fight between Kathryn and Seth was even fiercer than before. Yikes! Seth had collapsed breathlessly in a heap on the pile of soil he had dug up onstage. Kate was crying so hard after the fight scene that I just wanted to go up there and hug her. Awww! 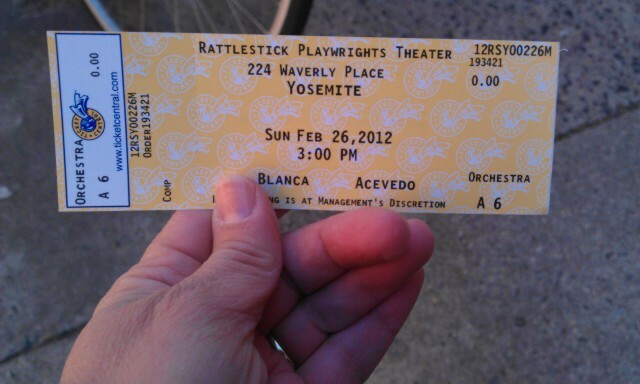 I was sitting in the first row, Seat 6 again, the same seat I had during the January 22 matinee. I had tried to make a short video of Kate's speech near the end of the play with my phone, but I couldn't keep it hidden inside my bag and use it at the same time. Plus, the bitchy bleached blond to my right was muttering curses under her breath at one point, which irritated the hell out of me. STFU! Oh well, so much for preserving such a perfect moment for posterity. Kate and I spoke outside the theater after the matinee and I proudly presented the envelope containing Antje's artwork and message to her. Kate was delighted and surprised to see me again and said "Hi Blanca. You came again?" LOL After she saw the envelope she said "Aww, you guys." and I replied "We love you." I presented Antje's letter first and then the mock magazine cover with Kate's photo and the interview with Alex Eames featuring phtos of Kate from LO:CI and one photo of her as a teenager. Kate was amazed to see this photo in particular and wondered how Antje found it. I told her that I had seen this photo online before and also the photo of Kate on the Rattlestick site, which Antje used for the POLICE magazine cover. She was very impressed with Antje's work and told me that she would write a letter to Antje. The nicest thing about this conversation was that Kate and I were able to hang out on Waverly Place for a few minutes and just talk. No other fans were present at the time so I had Kate's full attention. 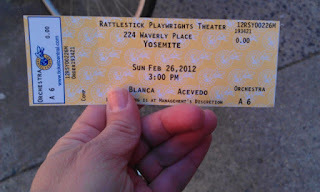 We sat down on the bench outside TAIM, a vegetarian reataurant next to the theater so Kate could sign another Yosemite program for Antje, as she had already done for me on January 22. I also asked her to sign the LOCI shirt that Vincent had signed for me last year but the ink from my silver Sharpie didn't show on the fabric. I told her not to worry about it, that I would definitely get some new Sharpies. I mentioned that I had been to the Sam Bisbee concert the previous Friday night and she said "I love his music." Naturally! I thanked her for taking the time to talk to me again and we chatted about the Oscars briefly. We both agreed that Viola Davis is a great actress and would be rooting for her to win for her role in "The Help." Kate also mentioned that director Steven Soderbergh had rewritten a role in a science fiction film he made for Viola, changing the character from male to female. Wonder what ever happened to that film? Kate also expressed some relief that she's wrapping up "Yosemite" next weekend, so she doesn't have to keep having a nervous breakdown onstage every night. :) Whew! Before Kate and I went our separate ways, Kate said "Say hi to your brother for me." How nice of her to remember Alberto! I told her that he's been busy making shamrocks for St. Patrick's Day and that I would send her some via Rattlestick. I hope Kate will be back onstage soon and on TV. She's a truly gifted actor and a goodhearted person and deserves all the accolades that come her way. Oh how cool, that you had Kathryn for you only. The photo of the magazine cover is one of the CI S10 promo pictures. P.S. Blanca, I don't know if you recognized but Blogger changed the post design. How did you managed to stay with the old design (especially the subscribe by email function). I miss this feature very much at the new design. How cool indeed. Good job Blanca and congrats to you havers for having your message delivered. Blanca...You are so lucky to live in New York!!! !So happy for you Havers. 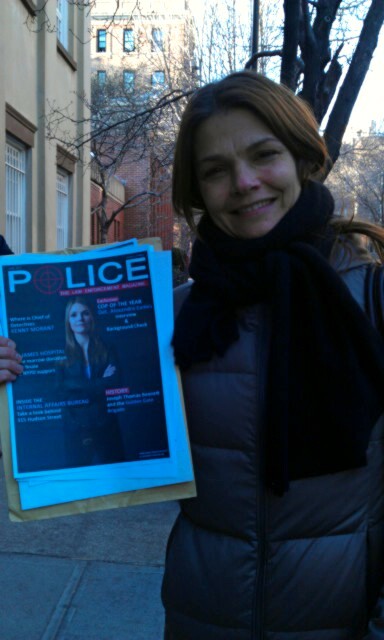 Glad she liked your artwork, and so nice of Blanca to deliver it for you..The fans of Vincent and Kate are the best! !